Dr. Hani AlSaleh, Martinsburg’s favorite cosmetic dentist and his dental team are here to provide you the most enjoyable dental visit you will ever have! Dr. Hani AlSaleh provides cosmetic dentistry, such as dental veneers, dental bonding and teeth whitening to patients in Martinsburg, Inwood, Charles Town, Hedgesville, Berkeley Springs, Ranson, Kearneysville, Shepherdstown, Spring Mills, West Virginia (WV), Winchester, Virginia (VA) and surrounding areas. 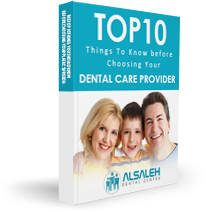 Learn more about each of the cosmetic dentistry treatments of AlSaleh Dental Center. 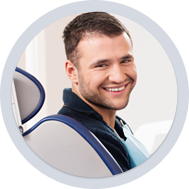 If you are not comfortable with the shape, length, or overall look of your teeth, AlSaleh Dental Center of Martinsburg, West Virginia (WV) offers an all-in-one solution to help you feel confident when you smile. 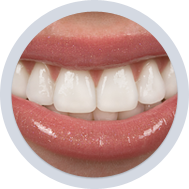 While having straight teeth certainly helps, it isn’t necessarily a fix-all for your perfect smile. Veneers provide the perfect length for your teeth to provide the ideal gum-to-tooth ratio that is often seen in appealing smiles. 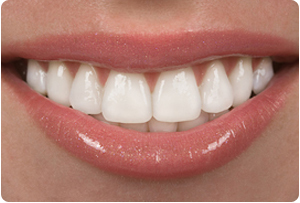 Additionally, veneers lay over your current teeth, giving you a sparkling white smile! 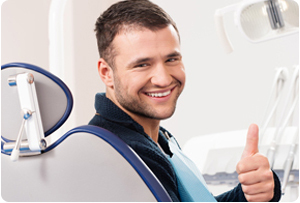 AlSaleh Dental Center has a full-service dental office in Martinsburg that is state-of-the-art in advanced dentistry. You can feel confident knowing that your perfect smile is only a few visits away when you choose AlSaleh Dental Center for your veneers. Call 304-267-8702 to speak with a friendly team member or schedule a complimentary consultation with Dr. AlSaleh. For chips and cracks in your smile that aren’t affecting the overall health of your teeth, dental bonding is a great option for renewing your perfect smile! A composite is used to gently fill the space in a crack or to repair small chips. AlSaleh Dental Center is a state-of-the-art dental office that is equipped to make your smile whole and complete once again. Whether you are fixing chips or cracks, replacing one tooth or several teeth, AlSaleh Dental Center has you covered! As person ages, so does their mouth. Even if you don’t drink a lot of coffee or red wine, smoke cigarettes, or eat a lot of foods that stain like berries and tomato sauce, you are still likely to build stains overtime. This can cause your smile to darken with a yellow or grey hue that will only get worse if left untreated. 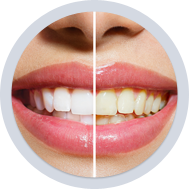 There are several at-home teeth whitening remedies that will help remove some of the surface stains, however, those will only go so far. 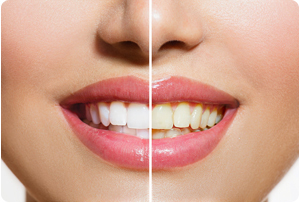 Stains that have built up over time need stronger whitening power, otherwise you are simply reducing the yellow or grey stains to a slightly grey smile. If you want a truly white smile, AlSaleh Dental Center can help you achieve your brightest and whitest smile possible. Dr. Hani AlSaleh uses the latest in teeth whitening advancements at his full-service dental office in Martinsburg, West Virginia (WV).